A 14-person expedition with strong Seattle roots conquered K2 in September 1978, the first Americans to do so. The climb was a monument to grit and determination, beset by adversity, yet successful at the point when it seemed another failure was inevitable. 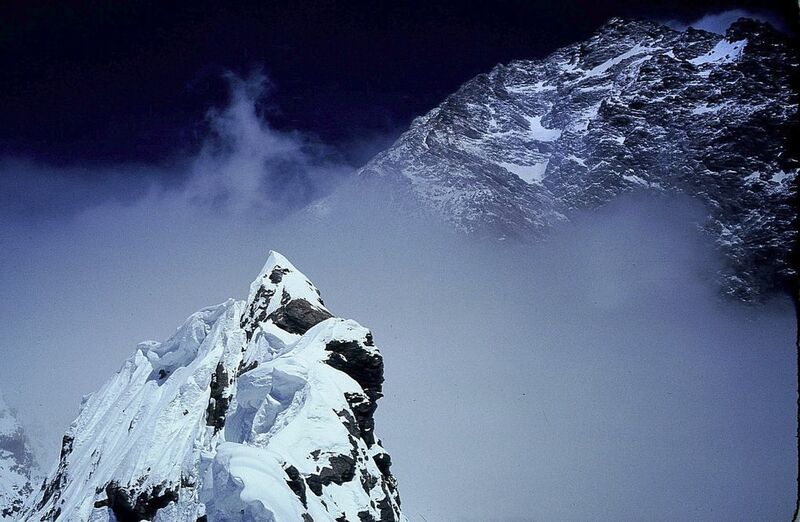 Forever hence, K2 has been known as “The Savage Mountain,” the second-highest peak in the world yet widely regarded in the mountaineering world as the toughest, and most dangerous, to climb. At 28,251 feet, K2 is 779 feet shy of Himalayan neighbor Mount Everest, but that small discrepancy is more than compensated for by its steepness, its remote location, its extreme weather and its technical challenge. 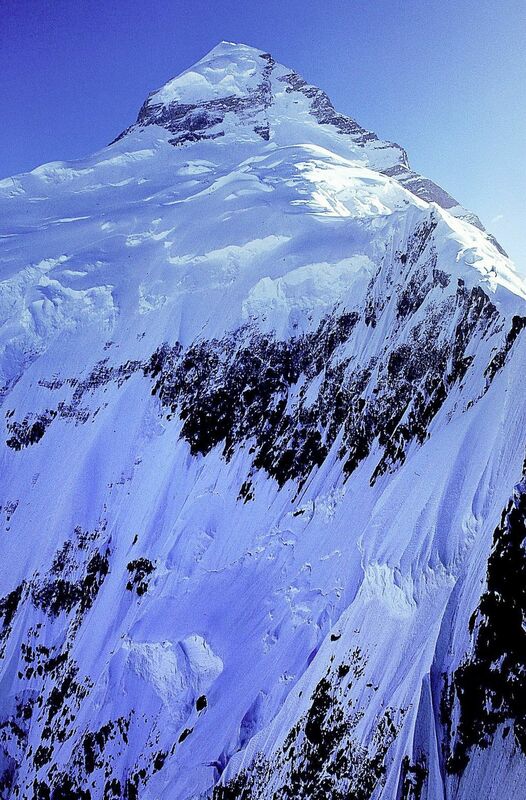 As Bell noted, it tries to kill you – and has been the second-deadliest of the world’s 14 peaks over 8,000 meters. Forty years ago, on Sept. 6, 1978, a 14-person expedition with strong Seattle roots conquered K2, the first Americans to do so and just the third successful ascent in history. 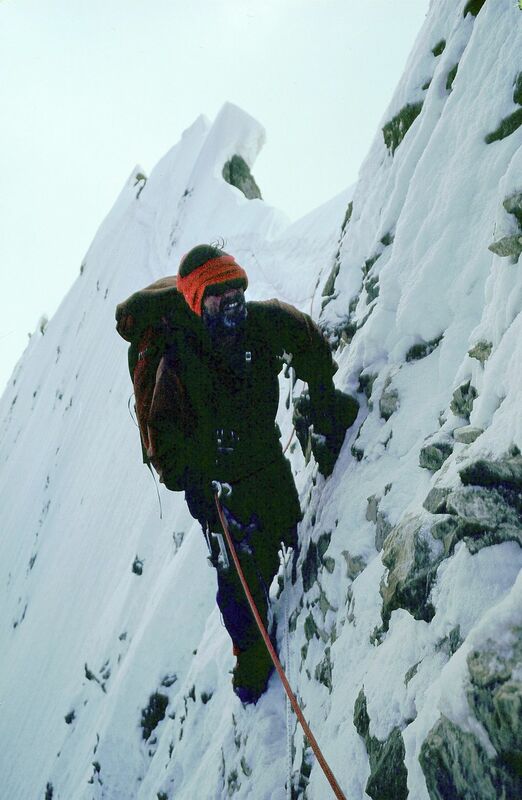 Jim Wickwire of Seattle and Louis Reichardt were the first two to summit, followed the next day by John Roskelley and Rick Ridgeway. 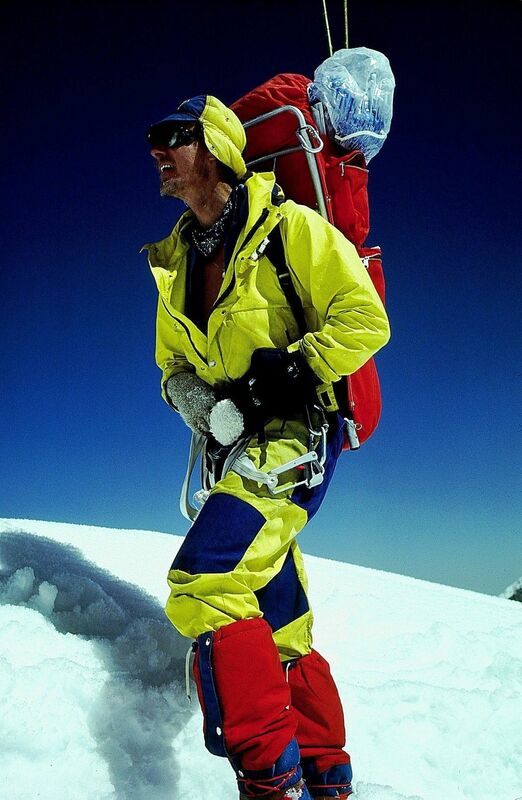 The expedition’s leader was the legendary Jim Whittaker, who 15 years earlier had been the first American atop Everest. That’s the watered-down version, anyway. The reality is that this climb was a monument to grit and determination, beset by all manner of adversity, some of it self-inflicted, yet successful at precisely the point when it seemed another failure was inevitable. 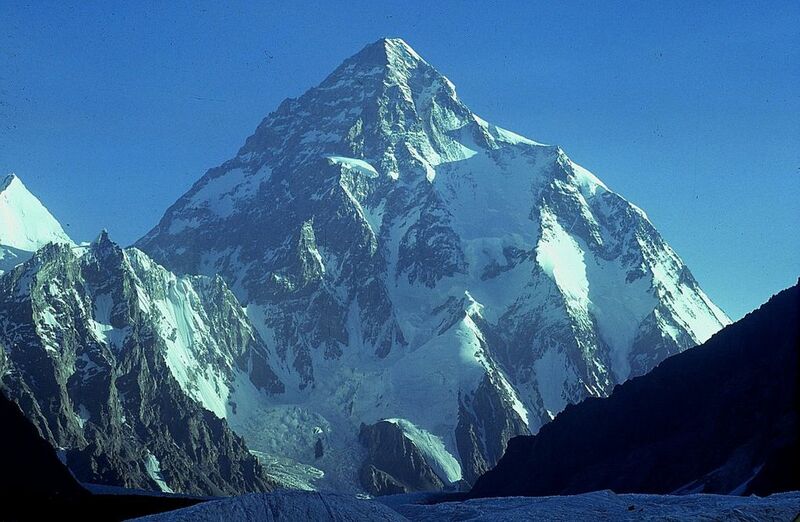 For decades, K2 had stood, in particular, as an “American mountain” in the same way Everest was the great obsession of the British until Sir Edmund Hillary conquered it in 1953. American expeditions had come excruciatingly close in 1938, 1939 and 1953; another attempt in 1975 with four members of the ’78 team had failed as well. So when Wickwire and Reichardt embraced atop K2, linked arms and took the final steps to the top together, they were exhilarated for their team’s achievement but also keenly aware of those upon whose shoulders they had climbed. “There was a sense of history about it, because of the American expeditions that had tried before,” said Wickwire, now 78. It’s an 80-year arc for American climbers, the 40 years spent trying to conquer K2, and the 40 years that have followed their victory. The allure of the mountain has not abated even as almost 400 have reached the top (and more than 80 have died trying). That compares with more than 7,000 ascents of Everest. 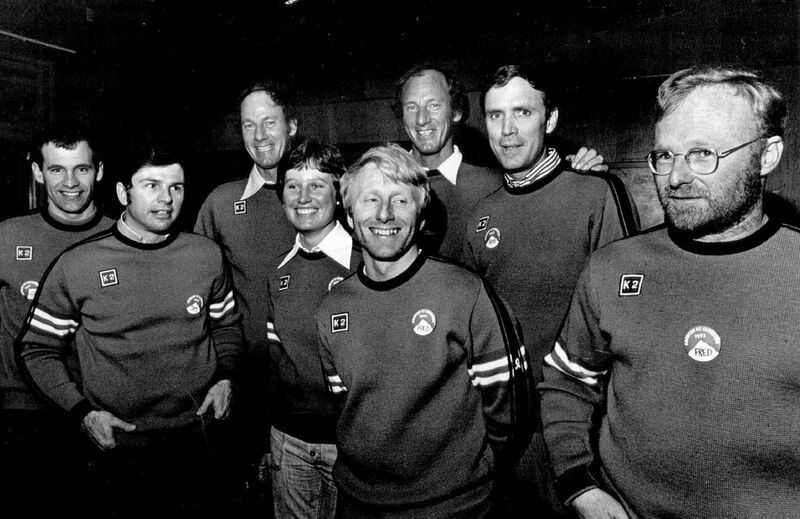 Most team members were in their late 20s or 30s in 1978, which puts them in their 60s and 70s now, still adventurous and vital, but reflective as they look back, four decades later, at what was a tumultuous, and often contentious, expedition. 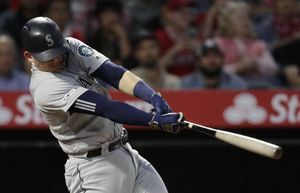 “The facts haven’t changed, but the cutting edge of emotion, both pleasure and frustration, have certainly mellowed with age,” team member Bill Sumner said. It was an incredibly accomplished and eclectic group, not only possessing experience at high elevation in the Himalayas, but successful in business, science, medicine, law and the arts. 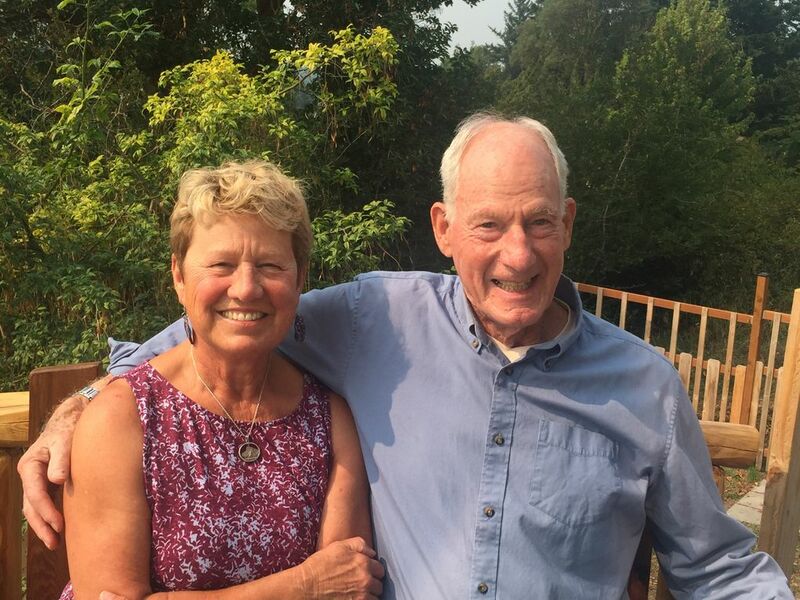 They will be honored Thursday in a celebration in Seattle put on by The Mountaineers. The team was put together by Whittaker, eager to overcome the mistakes of his 1975 expedition, which fell victim to discord, poor weather and strikes by the Balti porters (locals hired to haul equipment) that crippled their progress. Whittaker, 49, the most accomplished and famous, American mountain climber of them all, and a top executive at REI at the time. Dianne Roberts, 30, Whittaker’s wife and a photojournalist who shot thousands of pictures that helped document the trip. Wickwire, 38, a Seattle attorney whose night on the mountain at 27,700 feet – 650 below the summit – was the highest solo bivouac ever endured. Reichardt, 36, a neurobiologist from San Francisco who in 1983 joined the elite club of climbers to reach the summit of K2 and Everest. Roskelley, 30, a mountain guide from Spokane considered by many America’s finest technical climber. Ridgeway, 28, a writer and shipwright from Malibu, whose book, “The Last Step: The American Ascent of K2,” would tell the expedition’s story in unsanitized detail. Craig Anderson, 31, a zoologist from St. Paul, Minn., who had been on the 1973 Dhaulagiri expedition. Terry Bech, 39, a musician and anthropologist from Bloomington, Ind., who had lived in Nepal for nine years and had extensive experience above 20,000 feet. Cherie Bech, 33, Terry’s wife and a critical care nurse from Bloomington who had reached 24,700 feet on Dhaulagiri in Nepal with her husband. Albert “Skip” Edmonds, 31, an anesthesiologist from Seattle who had experience in the Himalayas. Chris Chandler, 30, a physician from Vashon who had climbed Everest in 1976 but died on Kanchenjunga, the world’s third-highest mountain, in 1985. Sumner, 36, a physicist from Index, Wash., who notes with amusement he was strongly suspected of being a CIA agent by some Pakistanis because of his PhD in nuclear physics. 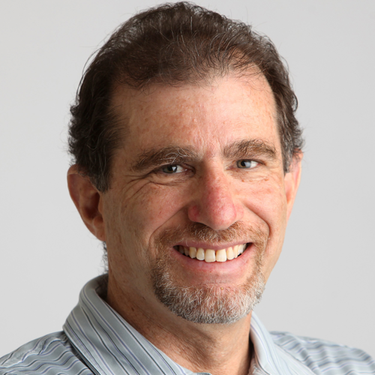 Robert Schaller, 43, a pediatric surgeon from Seattle who had also been part of the 1975 K2 attempt along with Whittaker, Roberts and Wickwire; he died of illness in 2014. Diana Jagersky, widow of Dusan Jagersky, one of three scheduled members of the ’78 trip who died in climbing accidents before they departed. Diana was a late addition as cook and base-camp organizer who evolved into a key member of the team. “That’s why I didn’t tell you,” Roskelley replied. Yet each of the three would prove their worth on the mountain, and even Roskelley himself would develop a grudging admiration. 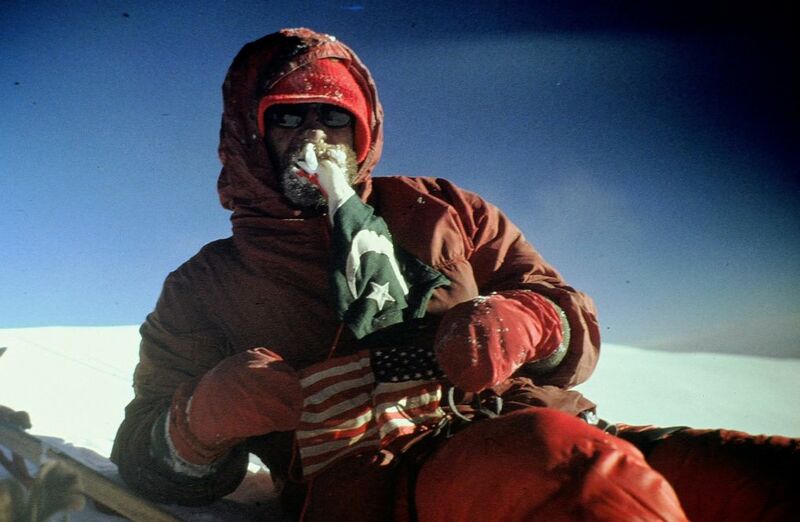 Roberts set a high-altitude record for North American women (25,200 feet) and performed strongly on an arduous climb to from Camp 1 to Camp 4, across a difficult ridge, near the end. Bech matched the record and was key in carrying supplies for the final assault. Jagersky, meanwhile, was much more than just a cook and organizer; she was regarded by many as among the strongest team members. “All three women on the trip were powerful influences in a positive way,” Sumner said. With the help of Whittaker’s old friend, Senator Ted Kennedy, who lobbied the Pakistani government, the American team had gotten around the red tape to obtain a highly coveted permit to try K2, which straddles the Pakistan-China border, again in ’78. The only proviso: They had to wait until the Brits were finished, which meant the Americans couldn’t even start until early July, which increased the chance that they would run into dicey weather. No matter. All the Americans wanted was a chance to make it right and accomplish what all their forebears had been unable to do. This time, the 350 or so porters that were hired to haul eight tons of supplies for the 110-mile trek to Base Camp performed beautifully, and without interruption. The presence of a universally lauded Pakistani liaison officer Subadar Major Mohammed Saleem Khan helped immeasurably. And at the end, when the battered summit party was descending, the porters waited an extra day without food at base camp and then proceeded on half-rations the rest of the way down to accommodate the slow progress, due to Wickwire’s illness and weakened condition. Then a series of bitter storms roiled the mountain and slowed the expedition. Tension grew among the climbers, centered on two issues. One was the friendship that developed between Chandler and Cherie Bech that caused rumors to swirl and discontent to grow in some quarters. 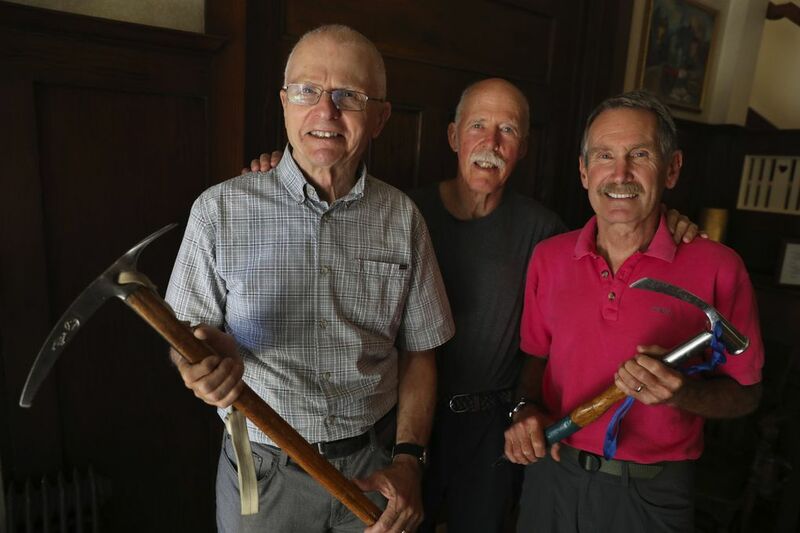 But a touchier issue erupted when Whittaker, on Aug. 9, thinking a summit assault was nearing, named the four climbers he had chosen to try for the top: Wickwire, Reichardt, Ridgeway and Roskelley. Bad weather would slow the progress immensely, which allowed time for resentment to fester among those not chosen. The so-called “Brotherhood of the Rope,” the term coined by Charles Houston to describe the ’53 assault on K2, was disintegrating. Whittaker acknowledges now that his decision to choose so early aggravated those who weren’t selected to summit. The accomplishments are historic, and rightly celebrated, but they didn’t occur until after what Sumner termed “a near-mutiny.” Schaller, the doctor whose climbing had been curtailed by a virus and then a knee injury, played a vital role as a mediator during a volatile team meeting at Camp 1. It was agreed, on Wickwire’s suggestion, to rescind the summit plan and once again “let the mountain decide” who should try for the top – with Whittaker getting the final call. 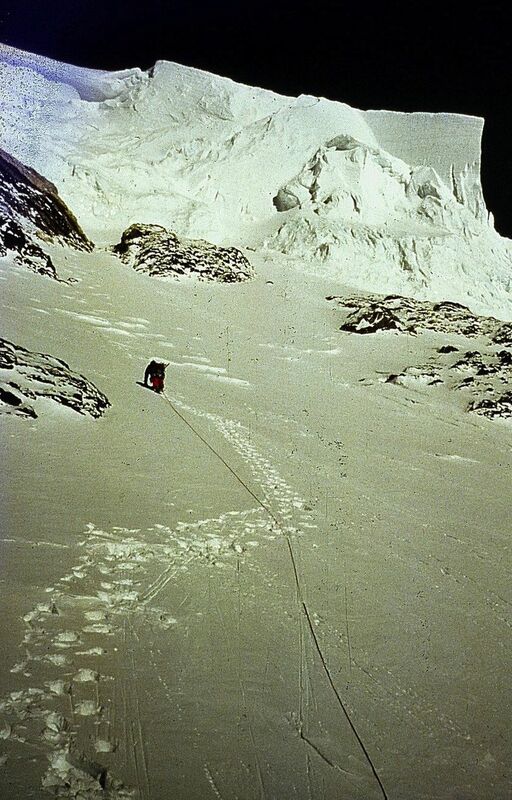 In the end, however, it was the same four climbers who were in position high up the mountain in early September to mount an assault on the summit. A sense of urgency prevailed, because Whittaker had ordered a return of the porters on Sept. 10 to begin the evacuation of the mountain. 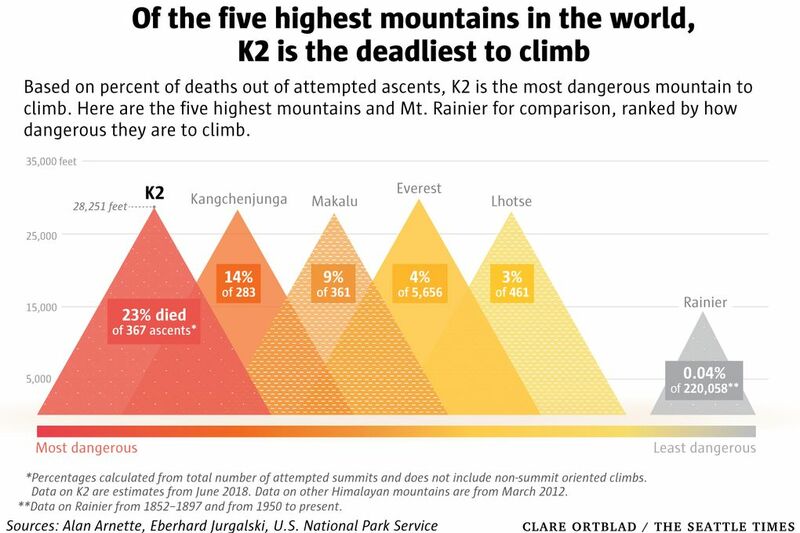 One more turn of bad weather would clinch another American failure on K2. But the weather held. The big question became, which route would they take to the top? They decided to split into two teams, with Roskelley and Ridgeway trying the Northeast route, while Reichardt and Wickwire, along with Terry Bech in support, traversed across the East face to the Abruzzi Ridge. On Sept. 6, Roskelley and Ridgeway tried for the top on the Northeast route but had to stop because of fear of avalanche. Meanwhile, Reichardt and Wickwire made slow, at times arduous, but steady progress toward the summit, as Whittaker and Roberts watched in wonderment from Camp 3, peering through her telephoto lens as the tiny dots ascended. The two had spent a fitful night fearing that another storm was brewing that would thwart the expedition. Instead, Roberts awoke Whittaker at 2 a.m. with a glorious report: “Jim, the stars are out.” Whittaker knew exactly what that meant. “I said, ‘God, we’re going to get the mountain. We’re going to get the mountain,’ ” he said, beaming at the memory. 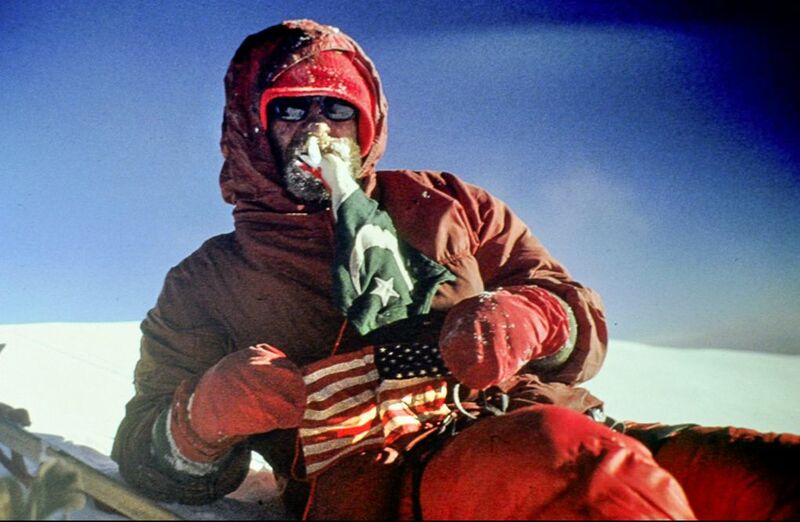 Wickwire and Reichardt got it, the ever-elusive American summit of K2, at 5:20 p.m. after 13 hours of rugged climbing, with darkness rapidly descending. Reichardt remembers the glow of the golden sun as it set, and the magnificent view of the Karakoram Range. He savored “the fulfillment of a lifelong dream” – but only briefly. “My frank sense in getting on top, I told Wick, we had done this, we can leave,’’ Reichardt said. You don’t want to be stuck high on the mountain at night, especially in what is commonly referred to as “the Death Zone.” Any climber will tell you that the descent is where the greatest danger lies. Desperately cold without oxygen (his tank had malfunctioned earlier) or a down parka, Reichardt immediately headed down after posing for a few pictures. Wickwire, though, would linger for 40 minutes, taking more pictures, trying unsuccessfully to change the film in his camera. Those 40 minutes turned out to be the difference between reaching Camp 6, as Reichardt did, and being forced to spend the night on the mountain without tent or sleeping bag, which was Wickwire’s fate. Judging that it was too dangerous to proceed in what he calls “deep twilight,” Wickwire found a relatively level spot in the snow, dug out a platform with his ice axe and got into his thin bivouac sack to ride out the long, bitterly cold night. “I wasn’t intending to do this, but my judgment was, this was the safe thing to do,” Wickwire said. Though Wickwire was the only one of the four to use oxygen, it ran out after an hour. A stove that was providing heat ran out of fuel, and the replacement cartridge malfunctioned. Wickwire shivered his way through the brutal night, the coldest of the entire trip at minus-40 below with howling winds. 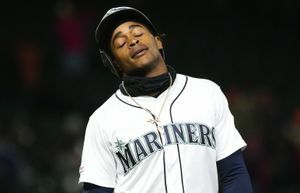 He sustained himself with the adrenaline of the successful summit and thoughts of his wife and children back in Seattle. During the night, Wickwire began to slide several times, bringing him perilously close to a precipitous and deadly fall off the edge. Wickwire forced himself back up the slope on his hands and knees, then used his ice axe and ice hammer to pin the sack to the slope. Finally, morning came, and despite being confused and disoriented from lack of oxygen, Wickwire forced himself, once again with thoughts of his family as sustenance, to continue his descent. 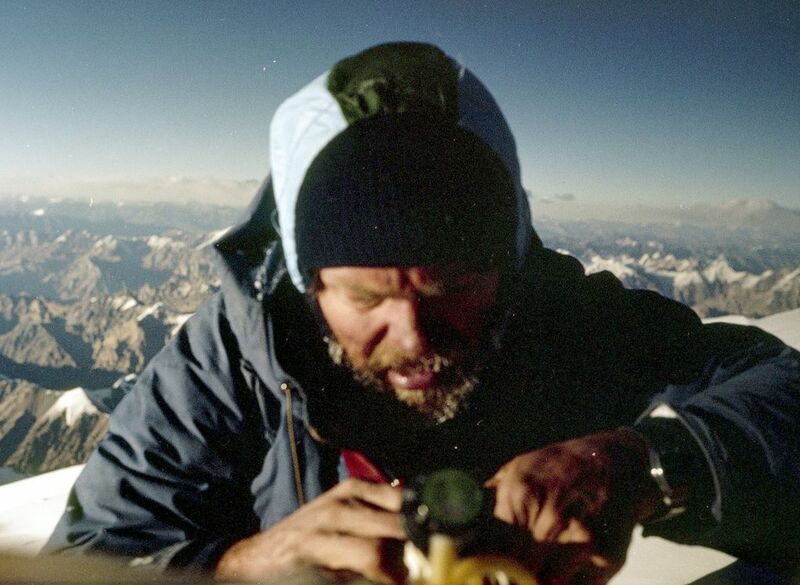 Eventually, he ran into Roskelley and Ridgeway, who had crossed over to attempt what would be their own successful climb to the top of K2 on the Abruzzi route that day. It was a huge relief to the rest of the expedition, which had feared the worst for Wickwire when only Reichardt had reached the camp the previous night. Wickwire convinced Ridgeway and Roskelley he was fine, and proceeded down to join Reichardt in Camp 6. As he left for their ascent, Roskelley tapped Wickwire on his head, a seemingly mundane gesture that resonated with meaning. After resting and getting a drink at the tent with Reichardt, they continued their descent, surviving a mishap the next night after Ridgeway and Reichardt returned from their own great victory on the mountain. Their stove blew up and set Ridgeway’s sleeping bag on fire, ruining their tent and forcing the four of them to spend a cramped, miserable night in a two-man tent. They all made it down, eventually, to advanced base camp, where Schaller, the team’s lead doctor, checked out Wickwire, who had developed a pain in his side. The diagnosis was sobering: Schaller said Wickwire had pneumonia, pleurisy and blood clots in his lung. The rest of the descent was far more harrowing, with the porters at times carrying Wickwire in a makeshift stretcher until he got tired of the jostling and walked the rest of the way, however haltingly, to the “snout” of the Baltoro Glacier at the bottom. It was “a blurred nightmare of strenuous glacier walking and nights of prolonged coughing,” Wickwire would write, while crediting Schaller’s care with pulling him through. On Sept. 17, two Pakistani army helicopters took Wickwire, Schaller, Ridgeway and Reichardt to Skardu, where they began the long trip home. Wickwire would undergo lung surgery in Seattle that enabled him to make many more climbs, including at Everest. The rest of the expedition had to walk more than 100 miles before they headed home.